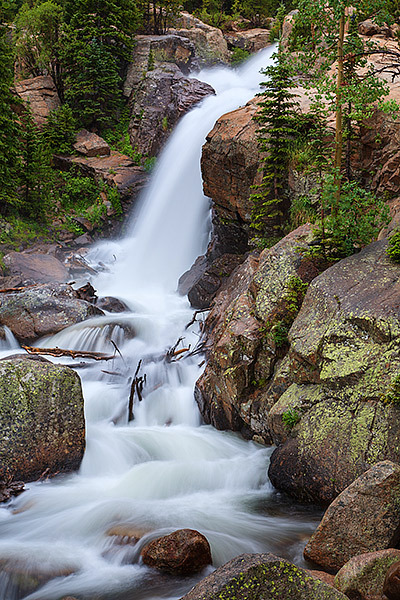 Alberta Falls in one of Rocky Mountain National Park's most popular locations. Located along the Glacier Gorge trail, many will pass by Alberta Falls on their way to other locations in the Park. Alberta Falls was named by Abner Sprague after his wife Alberta. Abner Sprague, was one of the original outfitters and tour guides for this area of Colorado and Rocky Mountain National Park. Photo © copyright by Thomas Mangan.